Your weekly round-up of local news for 17 – 23 September . 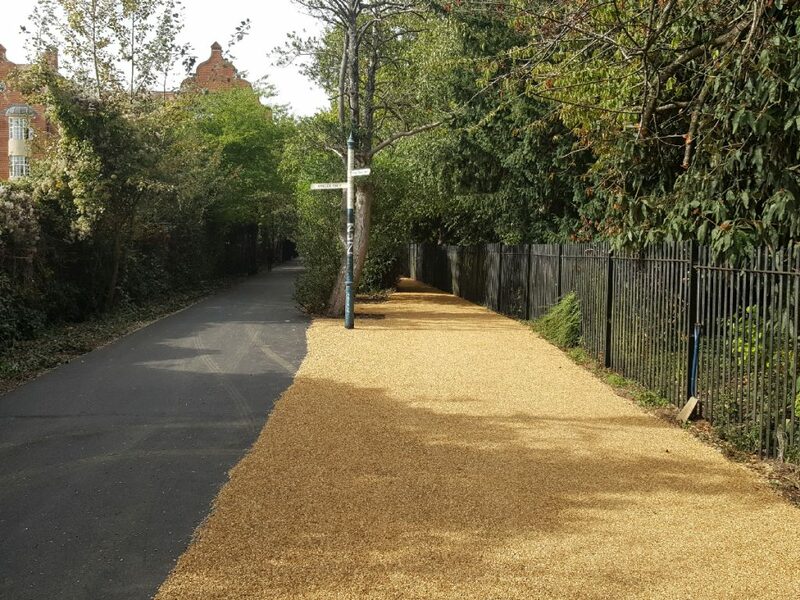 If you use the Marston cycle path @Marstonbikepath you’ll be pleased to know that it’s been resurfaced between the Cherwell bridge and South Parks Road. When I rode it they were still working on it. The shared section between the two bridges was being laid in gravel on tar. The South Parks Road end had nice smooth tarmac for bikes and gravel/tar for pedestrians, but I gather this may have also become 100% gravel. This seems a strange choice. I hope I’m wrong, but with bikes using it as well as people on foot I’ll be surprised if this surface survives the winter without starting to break up. The City Council is advertising for a Locality Officer for Barton. A significant part of the job will be working on the ‘Healthy New Towns’ initiative – see my posts Health and Fitness in Barton Park and HH 280 for the background. The Planning Review Committee meeting to reconsider the refusal of the Swan School application (see this earlier post) has been scheduled for Monday 15 October. Meanwhile, the school is accepting applications for admissions in September 2019. Does it really only take 11 months to build a school and all its associated infrastructure? Cllr Roz Smith reports that the long-awaited rectification of the Latimer Road parking restrictions will happen on and after 1 October. The wrong road markings were painted in after Beech House construction finished. Your weekly round-up of local news for 12 – 18 February. Here’s @RuthWilk‘s damning account of how private companies run rings round the City and County enforcement procedures, in this case in Latimer Road. A woman from Headington is one of a pair who plan to canoe from England to the Black Sea to raise money for charity. The Friends of St Nicholas Primary School in Marston are raising money to pay for the children of the school to repaint the mural in the underpass at the Old Marston end of Marston Ferry Road. Donations welcome! The car park behind Waitrose has been resurfaced. Agents acting for Christ Church College have submitted a ‘Scoping Application’ for a potential Barton Park-sized development on College-owned land northwest of Barton Park. 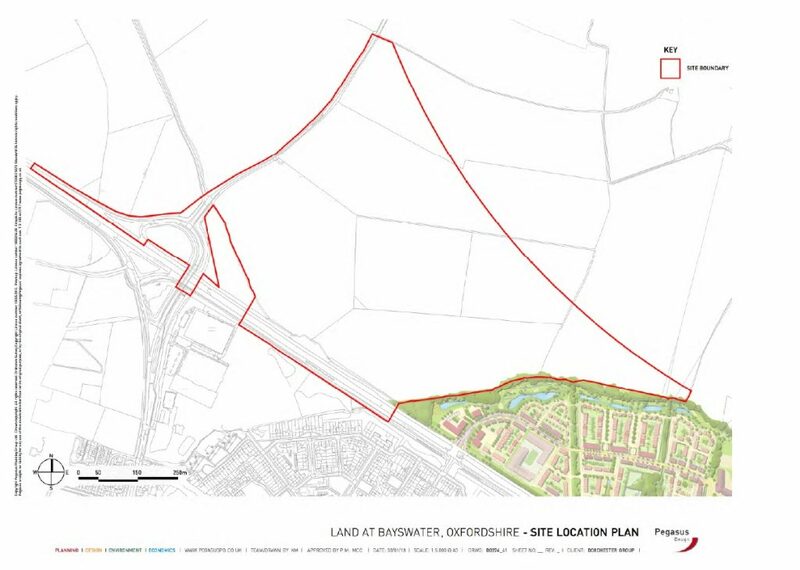 There will be many hurdles to get over if this development ever gets agreed, not least that the land is Green Belt and isn’t allocated for development in South Oxfordshire DC’s new local plan. The application (ref P18/S0399/SCO) is on the SODC website. Intermittent Access to Headington work goes on while the County sorts out the money for the Headley Way phase of the full scheme. The small roundabout at the main enrance to the JR has been removed and replaced with a temporary roundabout pending conversion of the junction to traffic light control when the scheme goes ahead.